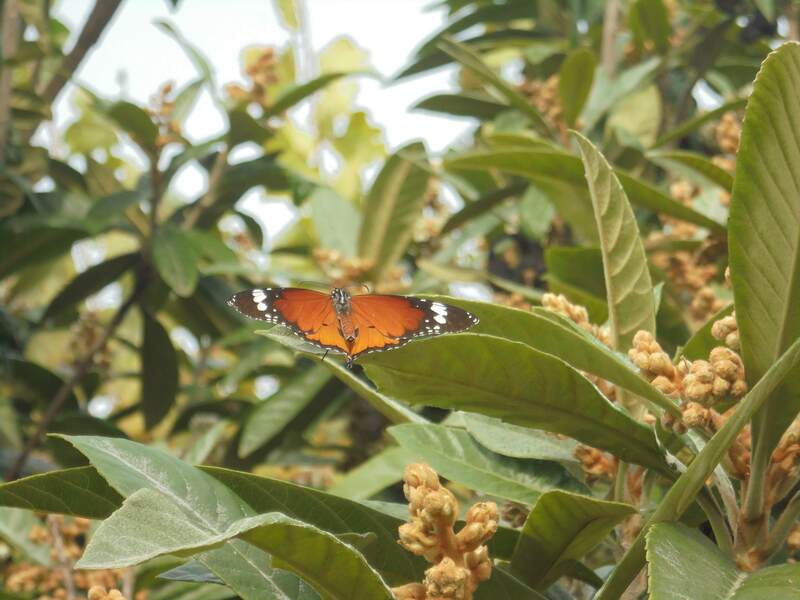 Plain Tiger Butterflies | Roda Forum Online - Information at your fingertips! 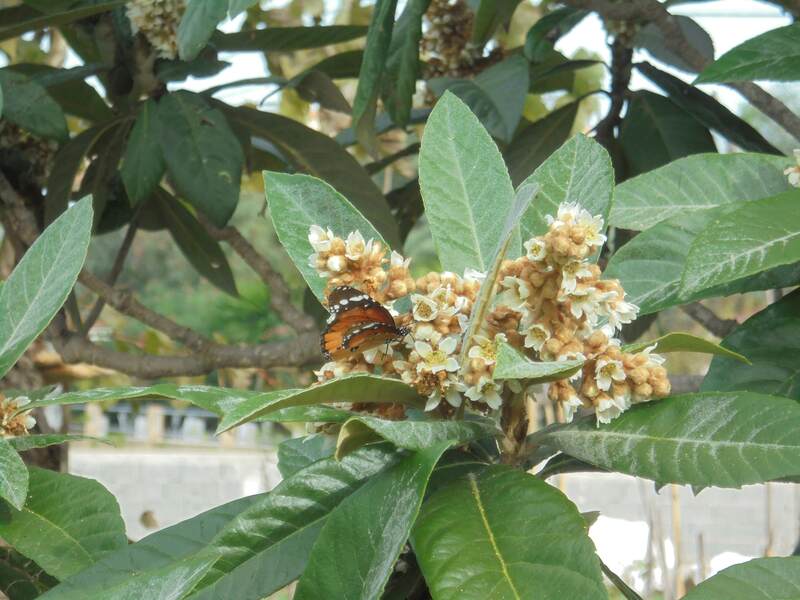 What a surprise today the nespola tree in our garden was full of insects including about 10 Plain Tigers. The tree is in full flower and the scent is amazing. The Tigers seemed to be enjoying the nectar then flying to an open spot and spreading their wings to the sun for a minute or two then rejoining the feasting. I feel honoured that the butterflies we first saw down at Almyros are now in our garden, that sighting caused much interest in the butterfly world with people just about jumping on planes to see this visitor. Though the original site has been destroyed by drainage work they are now being seen all over the island now. The warm climate is encouraging them to migrate from their usual haunts in Asia and Africa. They have been depicted on 3500 year old Egyptian frescos, which makes them the oldest illustrated butterflies.